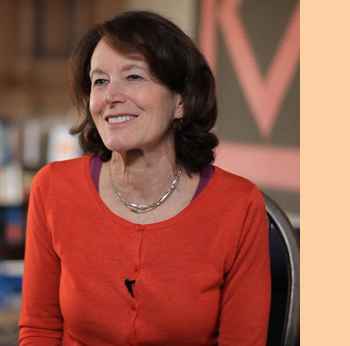 Terri Apter, Ph.D. is a psychologist, writer and former Senior Tutor at Newnham College, Cambridge. 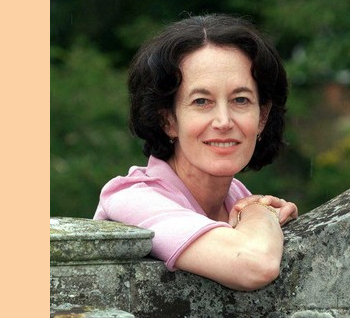 Her books on family dynamics, identity and relationships received international acclaim. 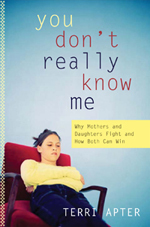 “Altered Loves: mothers and daughters during adolescence” was a New York Times Notable Book of the Year; “The Confident Child” won the International Educator’s Prize awarded by the Delta Kappa Gamma Society; “Secret Paths: women in the new midlife” was serialised in the Times and was listed by The New York Times among the noteworthy books of the year; “The Myth of Maturity”, which describes the difficult and long transition from adolescence to adulthood, was the topic of editorials, op-ed pieces (including the first page of the review section in the Observer), and formed the basis of a conference organised at the University of Cambridge by the University Counselling Service. She has presented her research on children’s and teenagers’ motivation to the Sutton Trust and HM Treasury. 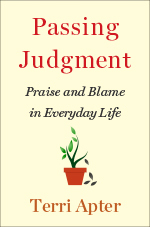 Her book about teenagers and parents in conversation, “You Don’t Really Know Me” was the basis of an editorial in the Guardian, the lead story in the Review section of the Independent on Sunday, as well as op-ed pieces in the Times, the Glasgow Herald, the Toronto Star and the Boston Globe. She has presented her work at the Oxford Literary Festival, the Edinburgh Literary Festival and the ICA. 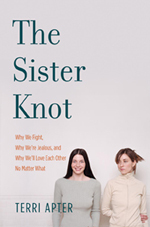 Her most recent book, “The Sister Knot” is a finalist for a Books for a Better Life Award 2008. Terri also reviews fiction and new publications in the social sciences for the TLS.